Earlier today, someone posted a picture announcing an Architects date for February 2018 at Alexandra Palace in London. 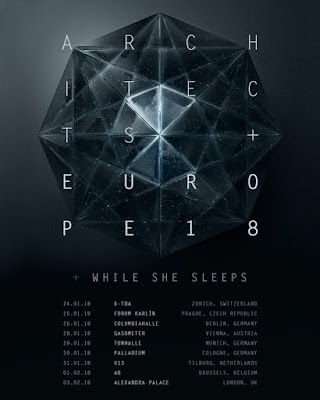 Architects drummer, Dan Searle, posted the following tweet and it wasn't long until fans started requesting more details. Their wish was granted and the band announced a string of shows along with While She Sleeps for winter. Tickets go on sale on August 31st.